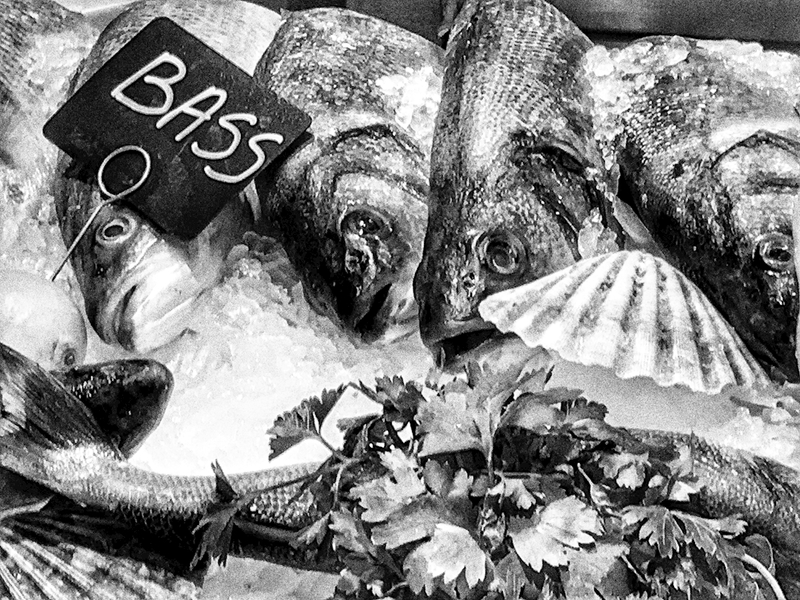 Black and white of sea bass on a fishmonger's counter in London. March 2019. “Alive without breath, As cold as death; Never thirsty, ever drinking, All in mail never clinking.” - J.R.R. Tolkien.